Welcome! 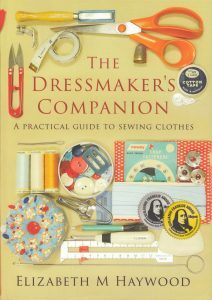 The Craft of Clothes is back from holidays. 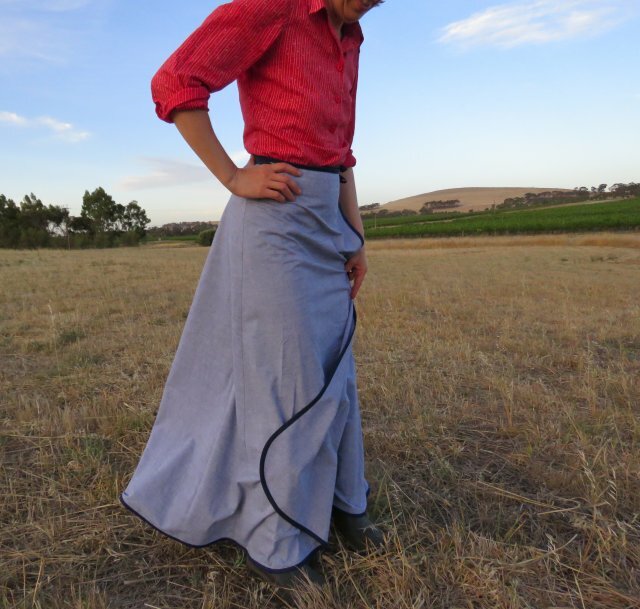 While on holidays, a reader named Ella commented on my 6-gore wrap skirt post, asking if it could be made as a 3-gore (the wrap skirt is a free pattern on this website). I hadn’t ever considered making it with three gores, but sure! I suddenly felt an urge to make one too. Step 1. Make the horizontal dimension (1.5 x your waist) divided by 3 (instead of divided by 6). Step 2. Add 10″ (25cm) to each side instead of 5″. Step 3. The top and bottom will need to be curved much more since you’ve only got 3 panels. Curve the top edge up by 3cm and the bottom edge by 8cm. Step 4. Obviously only cut one of these panels. Steps 5, 6 and 7 are the same. 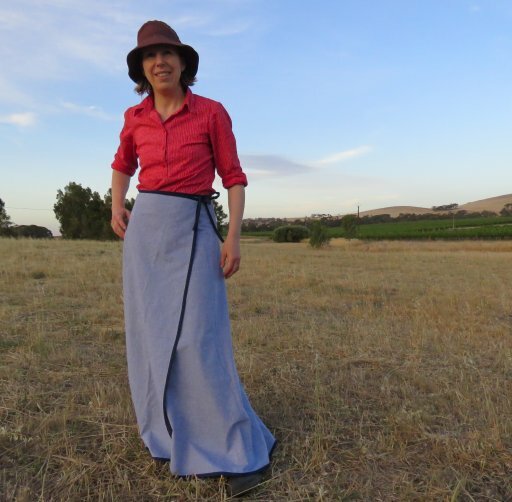 Just for something different, I decided to make it a maxi skirt. 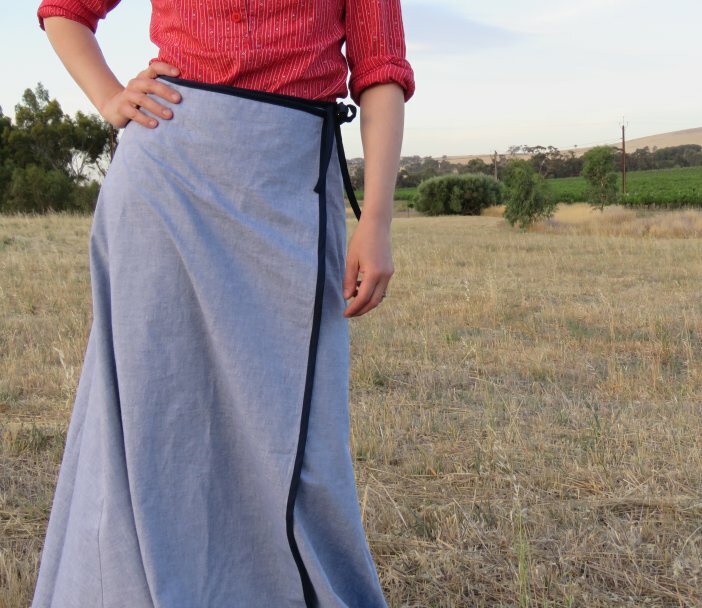 I’ve never really gone for maxi skirts (too much fabric swishing around my legs) but I like this one. I cut it across the fabric using some 110cm wide chambray (of the shirt variety) using the zero waste layout here. 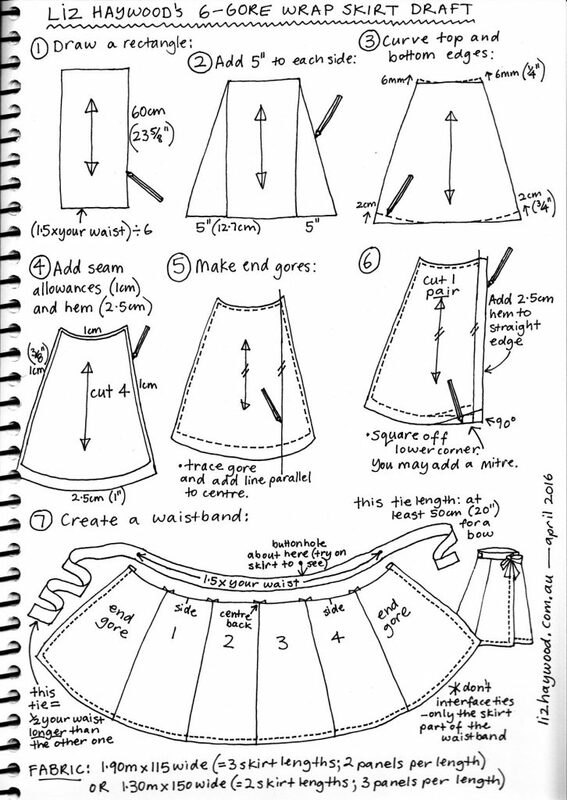 To make this skirt longer by any amount, simply get a ruler and extend the vertical seams. It was very quick to cut because there’s so few pieces! There was no fabric left to cut a waistband so I used 25mm bias binding for all the edges and the ties. 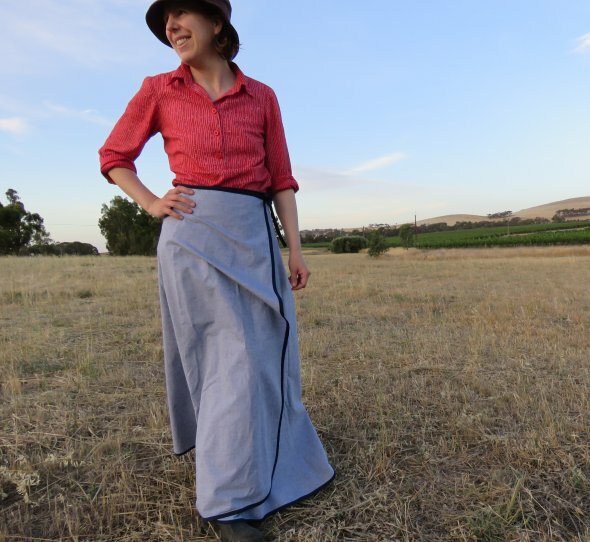 I used a dinner plate to round off the lower corners of the maxi skirt to make it easy to bind. 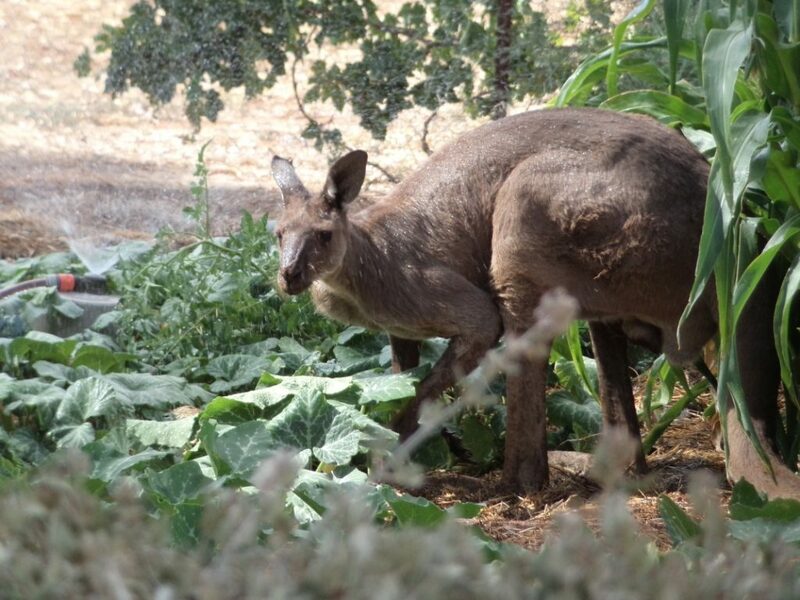 I don’t usually write about non-sewing things on this blog, but if you’re in South Australia, you (and your garden) are probably still recovering from last week’s record-breaking heat (46.2C in Adelaide although here we only managed 44.7). We had a visitor who easily jumped the veggie patch fence and sat in the sweetcorn. He’s a big boy. One does not approach these (google: ripped kangaroo). I didn’t realise he was there until I’d changed the sprinkers around, talked to the plants, talked to myself, picked tomatoes etc etc…then almost jumped out of my gumboots when I glanced over and saw him staring at me.